Dubai’s Emaar Properties said on Monday its revenue from housing and land sales doubled in the second quarter as investor sentiment toward the emirate’s real estate market improved. Property prices in the emirate slumped by half after the 2008 financial crisis. Emaar, Dubai’s biggest real estate developer, has fared better than rivals through the crisis thanks to a greater reliance on retail and hospitality, businesses with more stable revenue streams than the construction and sale of homes and offices. Emaar sold a series of projects this year, cashing in on renewed optimism in Dubai’s property market buoyed largely by a return of speculative buyers in the home sales segment. The builder of the world’s tallest tower generated revenue of 1.63 billion dirhams ($443.78 million) in the three months ending June 30 from the sale of apartment blocks, commercial units and land, a detailed earnings statement released on Monday showed. Revenue in the same period a year earlier was 815.6 million dirhams. The increase easily offset a small drop in revenue from villa sales. 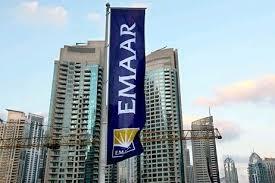 Emaar reported a 10 percent increase in second-quarter net profit in July. Cost of revenue from property sales shot up to 1.1 billion dirhams from 433.5 million dirhams in the prior-year period, the latest earnings report stated. Revenue from Emaar’s growing hospitality business rose to 354.3 million dirhams from 316.6 million.